Will Kymlicka is the foremost advocate of the Canadian model of immigrant multiculturalism. In a recent article I noted that Kymlicka is generally seen by both the left and the right as a centrist who defends the current system of immigration and liberal institutions in Canada. But I did not elaborate as to why he is seen as a centrist, in what ways is he different from leftist and rightist views on multiculturalism, but went on to argue that Kymlicka was "an advocate of the overthrow of the traditional European-centered culture of Canada, of mass immigration and of racially mixed states across the Western world." If Kymlicka is an advocate of the end of European Canada, what could his leftist critics be proposing that is more radical or worse? I will address this question later in the article. For now I would like to clarify why I think that mainstream leftists, centrists, and rightists are all cultural Marxists in their endorsement of mass immigration and their denial of any ethnic identity to European Canadians. The right wing position on multiculturalism in Canada is mainly centered around the newspaper National Post, Sun News TV, and the Conservative Party. They, too, are supporters of mass immigration except that they object to any notion of group rights for minorities, emphasizing the principle of equal rights for everyone. They are critics of multiculturalism but not of immigration. They dislike government support for the cultures of minorities, stressing assimilation to liberal democratic values, which they deem to be "universally" good for all humans. they are reluctant to engage in rational open debate about issues related to race differences and the ethnic interests and identities of Europeans. They are willing, of course, to debate the ethnic attachments of non-Whites, with the left endorsing such attachments as a matter of principle, but no mainstream side allows for views defending the ethnic attachments of Whites. In order to appreciate why we opponents of mass immigration, and proponents of European ethnic identity, are the true enlightened ones, we need to distinguish carefully the left-to-right ideas of our current establishment, show their common anti-European animus, their cultural Marxist orientation, and thereby show why they hold views that are not consistent with our European liberal heritage. In prior essays where I examined the right view on immigration I used loosely the term "liberal" in reference to both the left and right, but in this essay, to avoid confusion, I will use the term cultural Marxist in reference to the full mainstream political spectrum on the issue of immigration, making a distinction between right, center, and left cultural Marxists. This is not to say that liberalism itself — particularly in its emphasis on individual rights and universal values — cannot be misinterpreted to mean that we must "liberate" everyone from any collective identities and nurture values for humanity. Still, I don't think that this is an inevitable flaw within liberalism, which is, after all, a way of thinking that originated only in Europe. The idea that liberalism seeks to free all individuals from any ethnic collective identity and communitarian traditions, and advance values for everyone, was superimposed from the outside by cultural Marxists. This may seem odd since Marxists as such are invariably seen as collectivists, particularly by rightist critics, and many on the left are supporters of socialistic programs, highly critical of individualism and free market economics. But there is a crucial difference between the collectivism of the current left and the collectivism seen as normal in European societies a few decades ago, which was supportive of ethnic identities and restrictive immigration policies. Leftist communitarianism is an intellectually-generated form of civic citizenship that excludes European ethnic identification; it seeks an artificial community superimposed from above by elites. It is also an intellectually-generated form of multicultural-ethnic recognition of non-Europeans and minorities perceived to be victims. Kymlicka is known as a collectivist by right wing critics, but he is best seen as a promoter of a cultural Marxist agenda from a centrist perspective, a soft form of ethnic collectivism for minorities within the framework of a culture that emphasizes the principle of individual rights for everyone. The group rights Kymlicka writes about are intended to be temporary. The left, however, wants a Canada that is populated by ethnic and cultural collectives that are not European and that are strong and permanent rather than limited by the "Eurocentric" principles of individual rights. Kymlicka, in proposing group rights for minorities, is not saying that immigrants should be allowed to develop their own homelands and full-blown cultures within Canada. Kymlicka is known as a liberal communitarian in that he affirms the rights of individuals to create their own identities but insists that individuals can only make choices and cultivate their capacities for autonomy so long as they have access to a community that "provides its members with meaningful ways of life across the full range of human activities, including social, educational, religious, recreational, and economic life".1 The majority Europeans in Canada, he says, already enjoy a community, a set of institutions, schools, and official languages within which they grow and perform their lives as public citizens. Minorities, on the other hand, have not been able to enjoy equal access to the community resources of Canada, have been discriminated against, and, for this reason, if minority members are to develop as individuals, the Canadian community must become multicultural and show appreciation for other ethnicities and their customs, welcoming immigrants in order to diversify Canada, thereby moving this community away from its past racist character, creating a community in which minorities are afforded cultural resources to enhance their opportunities for individual success within a cultural mosaic in which diverse ethnicities will enjoy multiple choices. Minorities need group rights, including affirmative action programs, because of the unequal opportunities they were afflicted with, and still suffer from, in Canada. Immigrants should be allowed to assimilate to Canadian liberal-democratic values only through a process of socialization that is devoid of compulsion and that recognizes the fact that immigrants come from different cultures to which they remain attached, and minorities should be allowed to enjoy those aspects of their cultures that not violate Canada's liberal values. This may seem reasonable enough, but it is not. In my assessment of Kymlicka as a cultural Marxist, my point of entry has been that he ignores altogether the cultural and ethnic identity of the majority English/European Canadians. 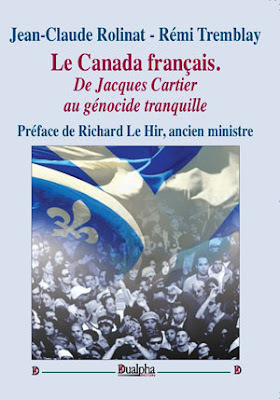 He discusses only the cultural rights and ethnic attachments of national minorities (Quebecois and Aboriginals) and immigrant groups. While national minorities and "polyethnic" groups are distinguished by culture and by ethnicity, "the majority Anglophone culture" is identified only through its language and certain modern amenities. The English community is in fact identified in rather bureaucratic terms as a "societal culture", as a deracinated, neutralized community consisting of modern conveniences – economic, educational, and social institutions – intended "in principle" to serve anyone regardless of cultural background. What Kymlicka is implying is that the communities of Europeans have already been modernized, founded on citizenship and no longer based on ethnicity; whereas the immigrants who come to Canada still come from communities that have not been fully modernized; so, multiculturalism will provide a half-way house, as it were, for the eventual socialization of immigrants into a liberal modern community with equal rights for all in which identities will be strictly a question of personal choice. Even as Kymlicka acknowledges that ethnocentrism is "a very strong" disposition "in the human condition", he is convinced that in Canada a continuous inflow of immigrants with strong ethnic identities can be socialized so that by the second or third generation a growing number, through intermarriage and cultural intermixing, will exhibit weaker or diluted ethnic and religious attachments. After dedicating much of his career selling the "successful" Canadian model to the world, he now admits that immigration has not worked this way in Europe, and in past years has changed gears insisting that the Canadian model is different because Muslims are still a very small percentage of the population and Canada has not experienced a massive inflow of one particular ethnic group as the United States did in the case of Mexicans. Never mind that there are whole regions in Canada dominated by Asian/Chinese immigrants, and that he is still selling the Canadian model to the world; the issue I want to outline here is that the "communitarian liberalism" Kymlicka advocates is best defined as cultural Marxist, in that it seeks to erase (and prohibit by law) any sense of in-group collective identity among Europeans, but instead requires them to keep their borders open to masses of immigrants with strong ethnic identities, who must be afforded with group rights upon entry, made to feel that they are, and have been, equal participants in the making of the nation, requiring thereby a fabricated revision of Canada's history away from its European roots, and thus violating any liberal sense of historical veracity and open debate. It is a Marxist experiment without basis in history and without any sense of when it will reach completion other than Kymlicka's insistence that Canada "must never again be allowed to be British and White". This is is what makes Kymlicka a cultural Marxist. He is supporting an experiment that is inconsistent with liberalism, as I shall elaborate in later articles, since liberalism has historically presupposed a kind of communitarianism based on a sense of national belonging, collective historical memories, religious cohesion, and in-group ethnic solidarity. So what could the leftists find missing in Kymlicka? The leftist view on immigration is extremely important; leftists are not only the driving agents sustaining the current policies and institutions, but the ones who have kept all the arguments tilting leftward as far as possible from any preservation of Canada's traditional European character. The social sciences and humanities faculties in Canadian universities are totally monopolized by a left-wing professoriate facing next to zero opposition. They are the writers of most of the articles and books promoting diversity and denigrating Canada's European heritage. While the centrist views espoused by Kymlicka and many others are seen as part of the "establishment", expressed in a calmed and deceptively modest way within an atmosphere in which everyone agrees, it is the left that provides the concepts, brainwashes masses of students, and keeps pushing the entire country in a leftward anti-European direction. The left diverges from Kymlicka in believing that Canadian multiculturalism is still ethnocentric, conceived by a European majority within the framework of Western liberalism. 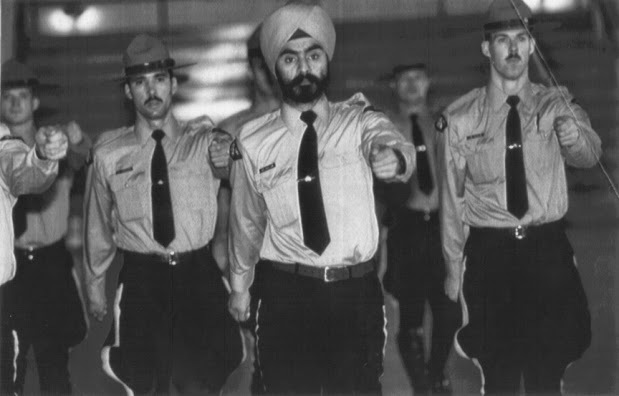 A true egalitarian multiculturalism, they claim, will blossom only when Canada ceases to be a "nation-state" populated by a European majority, and only when such symbols as the English maple leaf, the Quebec fleurs-de-lis, the RCMP uniform, and Christian religious oaths and holidays are fully displaced from their "supremacy" by the symbols of other cultures. The very notion of minority rights is unfair, according to these critics; ethnic groups must be allowed to have their own traditions, beliefs, and institutions without any subservience to Western liberalism. The best way to illustrate some of the rabidly anti-European views within this leftist critique is to look closely at some of its major exponents. I will choose three of them, starting with Professor Sunera Thobani, currently Associate Professor at the Centre for Women's and Gender Studies at the University of British Columbia. She has held similar prestigious titles at other Canadian universities, including president in 1993-1996, a mere few years after she arrived in Canada, of the National Action Committee on the Status of Women (NAC), Canada's largest feminist organization. Her ideas on multiculturalism are expressed in her 2007 book, Exalted Subjects: Studies in the Making of Race and Nation in Canada. The adoption of multiculturalism, according to Thobani, was essentially a way to "stabilize white supremacy" in Canada in an age of civil rights for minorities and decolonization, when whites could no longer hold their power openly. The small population base of Canada, declining birth rates among whites and in Europe, coupled with the need for labor to sustain a growing capitalist economy, created a situation in which the "outright exclusion of people of colour […] was no longer tenable." There is no denying that Thobani captures well the motivations of the right in their adoption of immigration and assimilation, and that if we replace "whites" with "corporate sell outs" we have a pretty good argument. According to her, multiculturalism allowed whites to reconstitute themselves "as tolerant and respectful of difference and diversity" at the same time as non-white immigrants were expected to assimilate to this "tolerant" culture. Non-whites were from the beginning, Thobani charges, defined as "visible minorities", not quite as Canadians, and expected to forego "their primitive and backward cultural practices, their corruptions, misogyny, cronyism and violence". In exchange for Canada's recognition of certain "harmless" aspects of immigrant cultures, such as foods, exotic dresses, and songs, the immigrant was expected to join the world of "cosmopolitan sensibility" graciously offered to them by whites. This was a wonderful arrangement for whites, Thobani sneers, allowing them to celebrate the superficial differences of others while gaining an "exalted" status as they paraded their tolerance and openness to the world. Whites stood for individual rights and "progress" against such backward immigrant customs as arranged marriages or the wearing of the hijab or chador. Even the "loud voice and excitable speech of the ethnic", "the 'smelly' odors and 'gaudy' colors of the Chinatowns and Little Indias" were best kept in private, or subdued and reformed in public — lest its practitioners remain outside the normal world of white urbanity, reasonableness, and liberality. Again, Thobani is quite illuminating, though it has been the academics and corporate heads for "social responsibility", rather than whites per se, who embraced diversity to enhance their moral capital while depicting working people and critics of multiculturalism as racist, uncivilized characters. Thobani believes that it is not for Europeans to dictate the terms under which non-Europeans should participate as Canadians. Whites have their own intolerant ways, she argues, starting with the expectation that all must become liberals if they are to be tolerated. In her own ethnocentric way, she is right that immigrant communities do exhibit a preference for their own cultural ways, and that to expect them to forego these ways is either a cultural Marxist illusion or a form of intolerance. Why should Hindu parents not be worried about their children assimilating into leftist pop culture and gay-marriage education in elementary schools? But Thobani never allows for the possibility that Europeans too have their own collective customs, political institutions, religious ways, and historical memories, including a strong belief in individual rights, that it may be natural and right for them to want to protect. For her, unless whites capitulate and hand over their country to immigrant non-whites, they are nothing more than racist defenders of corporate capitalism. Thobani is quite typical among immigrant intellectuals in European countries who exploit ideas produced by leftist whites to advance their own ethnic interests. She believes Canada should become a place filled with autonomous cultures coexisting with a deracinated white population stripped of any group rights. But it is not only immigrants who want this; white leftists may be even more determined as it is amply clear in Richard Day's call for the abolition of the Canadian nation state. Professor of Global Development Studies at Queen's University, Day's ideas are fully articulated in his book Multiculturalism and the History of Canadian Diversity (2000). Using ideas derived from postmodernist Marxists, Day employs many pretentiously empty words in order to claim, in essence, that Kymlicka's theory of minority rights is unfair because it allows the European "colonizers" to maintain a majority culture while disallowing immigrants to develop their "own societal cultures" or their own fully developed political and social institutions. How can the "equal worth of others" be acknowledged unless other cultures are "unconditionally" given the same right to maintain and develop their cultures within Canada? Why are majority Canadians imposing an "Immigration Points System" that excludes certain categories of individuals from entering Canada? Everyone and anyone who wants to come should be given the same right to immigrate. The current Canadian nation state is inextricably associated with the "capitalist European male"; accordingly, the only way to achieve racial equality is to abolish Canada and create a de-territorialized culture with porous borders characterized by "deep diversity" and the acceptance of "the necessity of an ongoing negotiation of all universal horizons". Day's ideas are self-evidently ludicrous to those not inhabiting an academic world where careless thinking is the prevailing ethos. Alan Simmons's book Immigration and Canada: Global and Transnational Perspectives (2010) offers a more empirically based argument, according to which the transformation of Canada into an immigrant place should be seen as a transnational process bringing all the nations and ethnic groups of the world closer together within an interdependent network of global relations. A Senior Scholar in the Department of Sociology at York University, Simmons claims that Canada is a more advanced model of what is happening among other nations in the world. However, most of his own facts, when read properly, and in light of what the science on ethnic identity says, do not corroborate his thesis. He says that ethnicity is not a biological but a socially constructed fact; and that we are witnessing today the emergence of a multicultural, hybrid, and transnational ethnicity distinct from the more fixed ethnicities of the past, which were deeply grounded in culture, kinship, language, and custom. Canada is at the forefront of this new "postmodern" ethnicity, with immigrants retaining links to their original homelands and establishing new links within Canada, and native Canadians participating within global economic and cultural networks de-linked from "home". Canada is now truly a mosaic expressed in hyphenated identities with Canadians having multiple ethnic roots that "specify different ways of belonging". First, the claim that ethnicity is a purely social fact is untrue; the science shows that it is also a biological fact. As Edward O. Wilson, Pierre van den Berghe, and Frank Salter have shown, shared ethnicity is an expression of extended kinship at the genetic level; members of an ethnic group are biologically related in the same way that members of a family are related even though the genetic connection is not as strongly marked. Secondly, as the highly respected research of Anthony Smith has shown, and now the research of Azar Gat (an Israelite who understands the importance of ethnic solidarity): nations are not mere ideological constructs; they were developed on the basis of strong bonds of ethnic solidarity — and so was Canada before immigrant multiculturalism was (ideologically rather than naturally) imposed from above without democratic consent. Second, the claim that "massive numbers of people are moving across borders", to use Kymlicka's words, is a fabrication intended to deceive Europeans into believing that the swamping of their countries with immigrants is a normal, inevitable affair. Contrary to Simmons, globalization in most of the world is not associated with immigration. Only Western-European nations have become immigration nations. Canada's foreign-born population currently stands around 21 percent, and Australia is even higher at 27 percent. But immobility is typical for the vast majority of the world's population: Over 98 percent of the people in less developed countries in 2005 were born in the country where they reside. Immigrants have accounted for a mere 1.4-1.6% of Asia's population over the past twenty years. The truth is that leftist, centrist, and rightist ideas have no basis in reality and history; they are fabricated ideologies deviously seeking the destruction of the peoples of European ethnicity. > "mainstream leftists, centrists, and rightists are all cultural Marxists"
And one of the major reasons why this is done is because a de-racinated group can no longer oppose the Regime. That, combined with a totally ethnically fractured society, the Regime can (illegitimately) impose its own view on the masses.
" But Thobani never allows for the possibility that Europeans too have their own collective customs, political institutions, religious ways, and historical memories,"
Like all left wing academics, one standard for one ethnic group and another standard for another ethnic group. Yet hypocritically they constantly preach against using double standards. Amazing website and amazing articles. My vocabulary for addressing this problem is expanding, and I'm psyched about future installments! Great insights. Canada needed an outlet like this. Us, European Canadians, we are an "invisible majority" with no voice. Its time to change that.